The Family and Medical Leave Act Policy Statement of The Evergreen State College has been constructed in accordance with the federal Family Medical Leave Act of 1993 and its accompanying regulations. This policy applies to all employees of The Evergreen State College. To the extent items or aspects of the FMLA or its accompanying regulations are not covered in this policy, those gaps will be construed in accordance with the FMLA and its regulations. To the extent that there are conflicts between this policy and the collective bargaining agreement (CBA), the CBA will prevail for those represented employees covered by it, provided that the CBA is not in conflict with federal law. The federal Family and Medical Leave Act of 1993 (FMLA) allows an eligible employee up to twelve weeks of leave in a twelve-month period for the listed reasons. In addition to the leave provided under the FMLA as outlined below, there may be other leave entitlements under state law, The Evergreen State College (or “the College”) policy, contract or collective bargaining agreement to which an employee may be entitled. Employees should seek assistance from Human Resource Services to determine if they are eligible for other types of leave in addition to the leave covered by this policy, for example, parental leave, leave to care for a sick child or family member with a serious health condition, shared leave. D. Due to the employee’s own serious health condition that requires the employee’s absence from work. Entitlement to FMLA leave for the care of a newborn child or newly adopted or foster child ends twelve months from the date of the birth or the placement of the foster or adopted child. “Son or daughter” means a biological, adopted or foster child, a stepchild, a legal ward, or a child of a person standing in loco parentis who is either under the age of eighteen (18) or age 18 or older and incapable of self-care because of a mental or physical disability. “Family member” includes children, spouse, parents, but not son-in-law, daughter-in-law or parents-in-law. “Spouse” means a husband or wife as defined or recognized under Washington State law for purposes of marriage in the state where the employee resides, including common law marriage in states where it is recognized. “Parent” means a biological parent or an individual who stands or stood in loco parentis to an employee when the employee was a son or daughter. “In loco parentis” means those persons with day-to-day responsibilities to care for and financially support a child or, in the case of an employee, who had such responsibility for the employee when the employee was a child. 5. Any absence to receive multiple treatments for restorative surgery or for a condition which would likely result in a period of incapacity of more than three days if not treated (e.g., chemotherapy or radiation treatments for cancer). E. Any health care provider recognized by the employer or the employer’s group health plan benefits manager. “Key Employee” means a salaried employee who is among the highest paid ten percent of employees within 75 miles of the work site. “Cyclic Year Appointment” refers to a position scheduled to work less than twelve full months each year due to known, recurring periods in the annual cycle when the position is not needed. C. The employee must have worked at a work site in the United States which employs at least 50 employees within 75 miles. An eligible employee can take up to 12 weeks of FMLA leave during a 12-month period. The Evergreen State College will measure the 12-month period forward from the date the employee’s first FMLA leave begins. The employee’s next FMLA leave year would begin the first time FMLA leave is taken after completion of the previous 12-month period. For example, an eligible employee began FMLA leave on November 1, 2002. The employee would have been entitled to use 12 weeks of FMLA leave between November 1, 2002 and October 31, 2003. If that employee used 12 weeks between November 1, 2002 and February 1, 2003, they would not be eligible again for FMLA leave until November 1, 2003. If they next use FMLA leave beginning April 1, 2005, their next 12-month period would run from April 1, 2005 through March 31, 2006. Should The Evergreen State College elect to change the method for measuring the 12-month period, employees will be provided a minimum of 60 calendar days’ notice prior to the change. Use of leave will normally be accounted on an hourly basis. A full-time employee would thus be entitled to 480 hours of FMLA leave during the 12-month period. For employees who normally work less than a full-time schedule, the amount of leave will be determined on a pro-rata basis and will be determined based on the employee’s status at the time of the designation of FMLA leave. For example, an eligible employee working an a 75 percent full-time equivalency (75% FTE), would be entitled to 12 weeks or 360 hours of FMLA leave in each 12-month period. For cyclic year appointments when an employee would not otherwise have been required to report for duty, that time period will not be counted against the employee’s FMLA leave entitlement. U.S.C. 29.2612 (a) (1) (A) and (B) refer to the birth and care of a child (A), and for placement for adoption or foster care (B); therefore, if the mother has a disability relating to her pregnancy or childbirth and uses some or all of her 12-week FMLA leave entitlement, she is still entitled to the full 12 weeks to be used for the birth and care of a child or placement for adoption, the (A) and (B) exceptions noted above. However, if she uses the 12 weeks for her pregnancy related illness and she then wants to use 12 more weeks of FMLA leave for her own illness or for some other reason other than (A) and (B), she would not have any FMLA leave available to her until her next FMLA leave year. Family Medical Leave Act leave designation is the responsibility of The Evergreen State College. The College will determine FMLA leave eligibility and notify the employee that the leave will be designated as FMLA leave in accordance with the FMLA. The designation may be made either interpersonally, orally or in writing. If given interpersonally or orally, it will be followed up in writing. The employee will provide the College with not less than thirty (30) calendar days’ notice before the FMLA leave is to begin. If the need for the leave is unforeseeable 30 days in advance, then the employee will provide such notice when feasible. It is the employee’s responsibility to notify their supervisor of the need for leave, providing the anticipated timing and duration of the leave, and to complete and submit the appropriate forms or paperwork. It is also the employee’s responsibility to provide reasons for the leave to the employer to allow the employer to determine if the leave qualifies for FMLA leave. The Associate Vice President for Human Resource Services or designee may inquire further regarding the need for leave if the employee does not initially provide adequate information to determine if the leave request qualifies for FMLA leave designation. The employee’s supervisor and/or the Associate Vice President for Human Resource Services or designee will provide the employee with FMLA leave information and request forms to be completed by the employee and/or the employee’s or family member’s health care provider. The employee should return the FMLA leave forms within 15 calendar days after the employee receives them. Information and FMLA leave forms will also be available through the Human Resource Services office and the College’s web site. Intermittent leave or leave on a reduced schedule will be granted if medically necessary for an eligible employee’s own serious health condition, or to care for a family member with a serious health condition. Medical certification or documentation of the need for the leave on an intermittent basis or for leave on a reduced schedule will be required. Employees needing intermittent leave or leave on a reduced schedule for foreseeable medical treatment must work with their supervisor to schedule the leave, subject to the approval of the health care provider, so as not to unduly disrupt the unit’s or the College’s operations. The College may choose to grant leave on an intermittent basis for the care of a newborn child or a foster or adopted child. Granting of intermittent leave for this purpose is discretionary and will be determined on a case-by-case basis. If such leave is granted, the employee and the College must mutually agree to the schedule to be worked before the employee may take the intermittent FMLA leave. 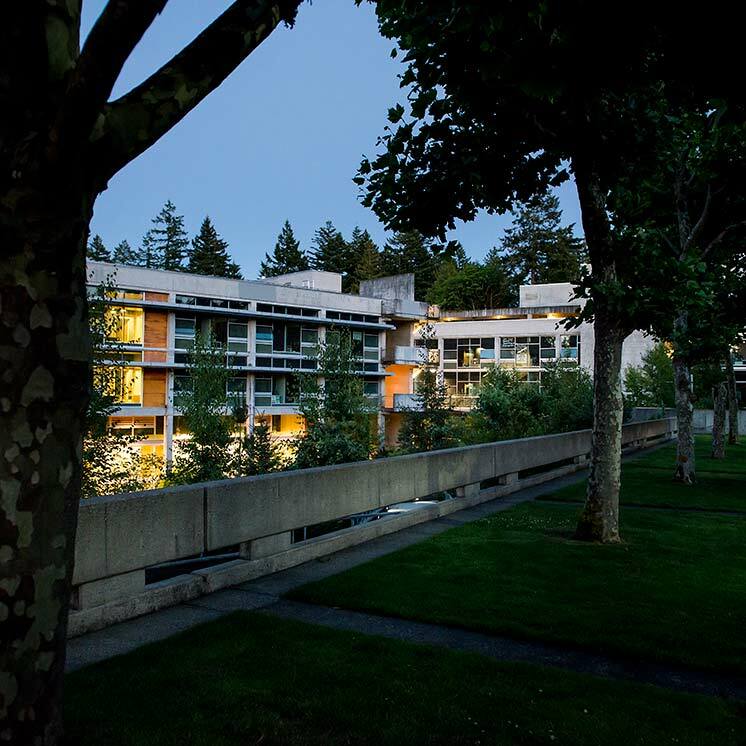 The Evergreen State College may temporarily transfer an employee using intermittent leave to an alternate position for which the employee is qualified, with equivalent pay and benefits if the alternate position would better accommodate the intermittent schedule. The Evergreen State College may require an employee to exhaust all paid leave prior to using any leave without pay, except that in cases where an eligible employee would be on FMLA leave without pay for an entire calendar month, the employee will be allowed to use eight (8) hours of already-accrued paid leave a month. The use of any paid or unpaid leave (excluding leave for a compensable work-related illness or injury, and compensatory time earned under the Fair Labor Standards Act) for a FMLA qualifying event will run concurrently with, and not in addition to, the use of FMLA for that event. Employees will not be required to exhaust all paid leave prior to using any leave without pay for a compensable work-related illness or injury. Substitution of sick leave is allowed only for those purposes that sick leave use is normally allowed for, pursuant to state laws, collective bargaining agreement or College policy, as applicable. Compensatory time earned pursuant to the Fair Labor Standards Act will not be counted toward the FMLA entitlement, although an employee is allowed to use compensatory time for a FMLA qualifying event. Medical certification will be required for any request for use of leave for an employee’s own serious health condition or to take care of a family member with a serious health condition. It is the employee’s responsibility to provide complete medical certification within 15 calendar days of the request or to provide a reasonable explanation of the delay. Failure to provide the requested certification may result in the denial of continuation of leave. Certification should be provided by using the Medical Certification Form which is available from the employee’s supervisor, from the Human Resource Services office or through the College’s web site. If the College has reason to question the medical certification, they may elect to seek a second opinion from a health care provider of their choosing at the College’s expense. If the second opinion conflicts with the first opinion, a third opinion may be obtained at the College’s expense from a health care provider mutually chosen by the employee and the College. The third opinion will be controlling. The employee will be considered provisionally entitled to leave pending the second and/or third opinion. The Evergreen State College may ask for re-certification under the provisions of the FMLA. Re-certifications are provided at the employee's expense. During approved FMLA leave, the College will continue an eligible employee's health and other benefits at the same level and under the same conditions as if the employee had continued to work. The eligible employee will be required to pay for their portion of their health care and other benefit premiums during their FMLA leave absence. During paid leave, the College will continue to make payroll deductions for the employee's share of the health care and other premiums. During unpaid leave, the employee must continue to make these payments. Arrangement for these payments should be made with the Payroll Office. The employee using unpaid FMLA leave will be required to indicate on the FMLA request form how they intend to pay their share of premiums during their unpaid absence. If the employee on unpaid leave does not pay their share of the premiums, the Washington State Health Care Authority may elect to discontinue coverage until payment of the employee’s portion of the premium has been made. Upon returning to work after the employee’s own FMLA leave qualifying illness, the employee will be required to provide a fitness for duty certification from the employee’s health care provider. The fitness for duty certificate should be job related and consistent with business necessity. A fitness for duty certificate may or may not be required for intermittent FMLA leave usage, determined by HRS on a case-by-case basis. D. Make a final determination as to whether reinstatement will be denied at the end of the leave period if the employee then requests restoration. Any employee returning from FMLA leave has no greater entitlement to reinstatement or to other benefits and conditions of employment than if the employee had been continuously employed during the leave period. 29 U.S.C. § 2601 et seq.